A new Motorola smartphone is coming soon, and no, it isn’t any G series or Z series device from the company. 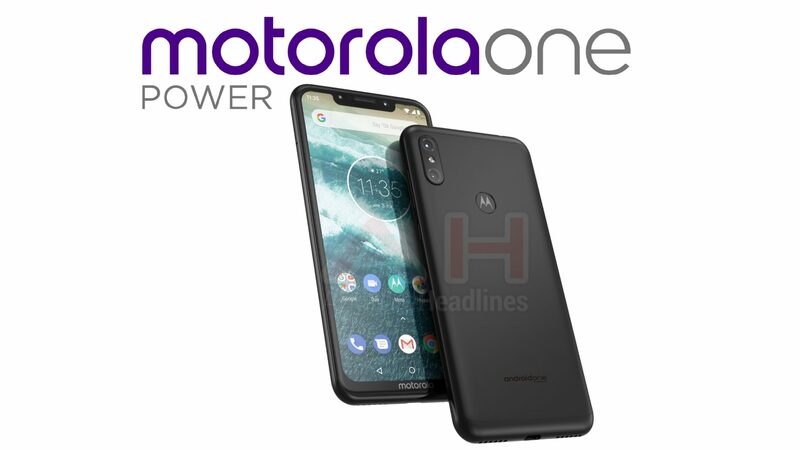 Motorola is soon launching a mid-range smartphone named Motorola One Power, and we have already seen the official press render that revealed the design. In fact, the prototype showed up in the wild today which confirmed the design of the phone. Now, some major specifications of the device have leaked out, revealing some interesting specs. As per the source, Motorola One Power has an FHD+ 19:9 display and is coming with the Octa-Core Snapdragon 636 processor under the hood. It is the same chipset that is rumoured to be powering the Moto Z3 Play (which is going to be priced higher than the One Power). There is 6GB RAM and 64GB internal storage, with an option to expand the storage via the microSD card. On the rear, there is a dual camera setup that includes a 16MP primary sensor with f/1.8 aperture and a secondary 5MP sensor with f/2.0 aperture. We have seen Motorola using a combination if RGB + Monochrome sensors but this time, we are expecting that this 5MP secondary lens is for depth sensing. Still, nothing is confirmed as of now. There is a 16MP camera on the front with f/1.9 aperture, and the device is backed by a huge 3,780mAh battery underneath. This, along with the power efficient Snapdragon 636 and Turbo Charging, will surely result in impressive battery performance. As the previous leak revealed, the phone is an Android One Branded device, meaning we are getting pure Android experience. It is not clear whether the Android One variant will offer the Motorola additions like Moto Display and Moto Actions or not. Finally, consider this new leak with a pinch of salt as there is no confirmation yet.